1. Prepare pasta according to package instructions. 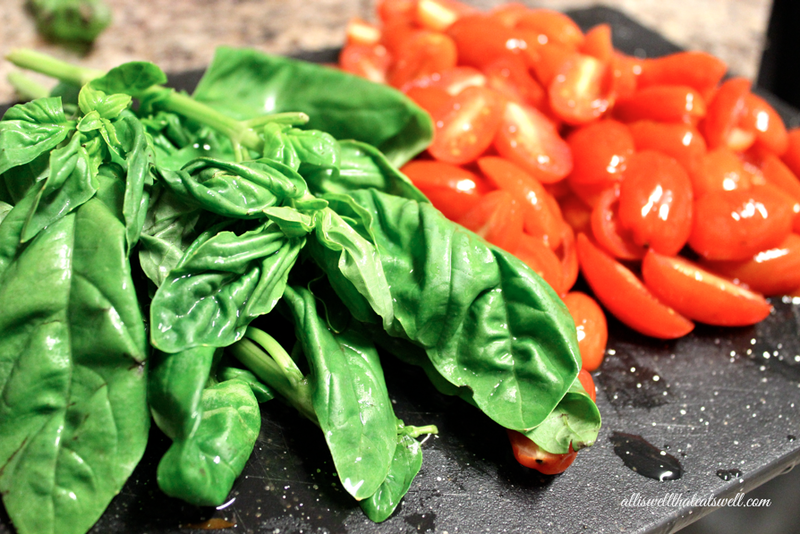 While pasta is cooking, sauté crushed garlic in 3 tablespoons olive oil for about two minutes. 2. 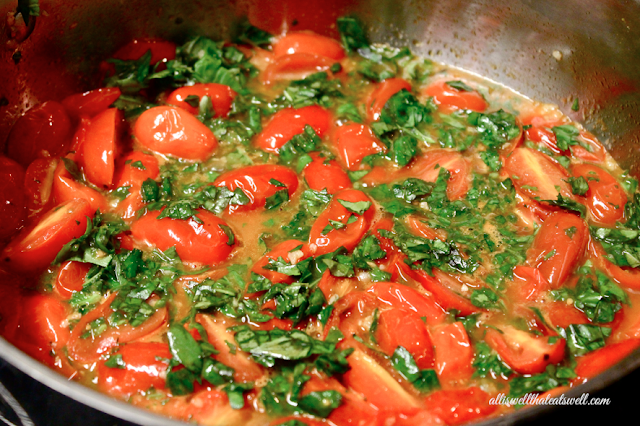 Add the tomatoes and some salt and continue sautéing for about 2-3 minutes until tomatoes start to become soft. 4. 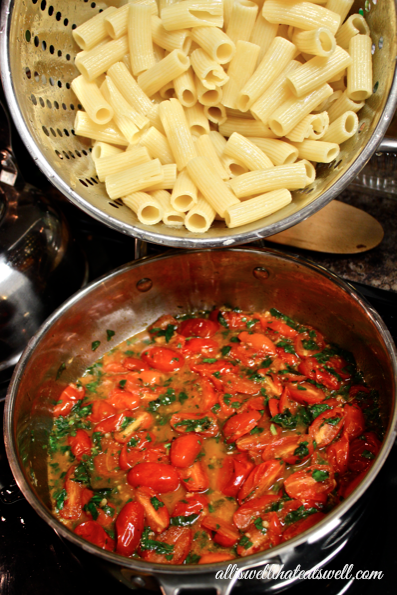 Add cooked pasta to tomato, basil and garlic sauce. Then add the remaining olive oil and combine ingredients well. Adjust salt and add pepper at this point. 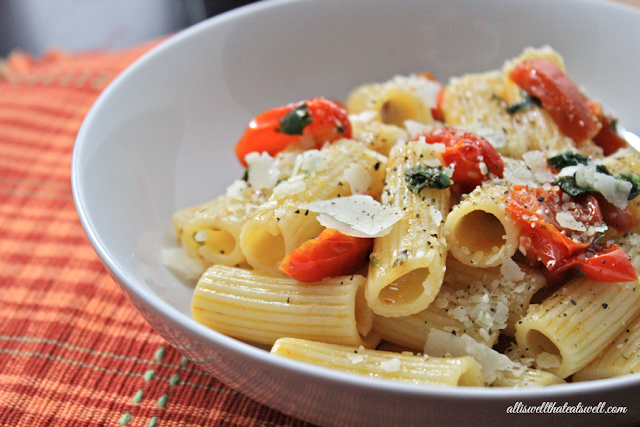 Serve in bowls and add fresh grated parmesan cheese! Enjoy this cozy and scrumptious dish from my kitchen to yours!